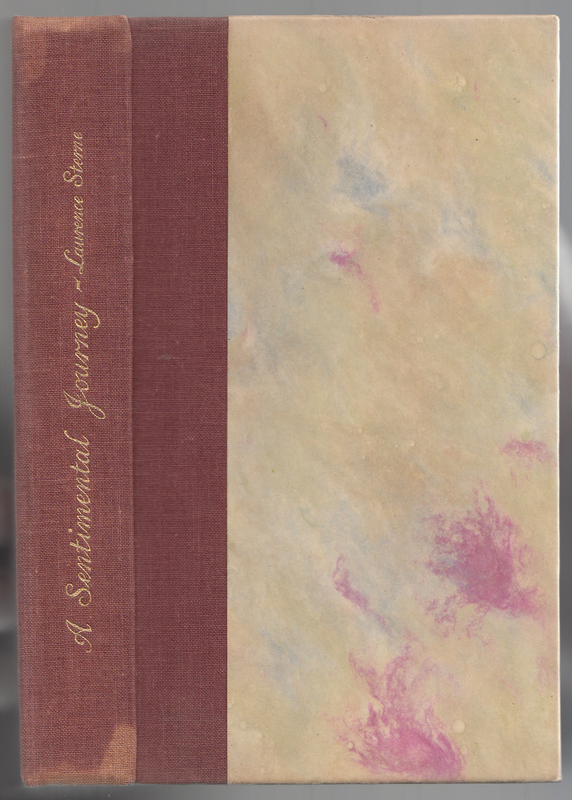 Seven Scholartis Press series books: White Jade (An Oriental Bazaar), Fanfare and Literary Sessions (Benington Books), A Sentimental Journey and Joseph Andrews (Eighteenth-Century Novels), and Ixion in Heaven & Endymion and A Journal of Summer Time (Nineteenth-Century Highways and Byways). The Eighteenth-Century Novels series, as per the brief description above, was a scholarly endeavor: reprints of 18th-century novels (of course) but with significant academic accouterments, including comprehensive introductions, bibliographic information and in some cases, annotations. The books were nicely bound with handmade paper and if part of the limited edition, were hand numbered. 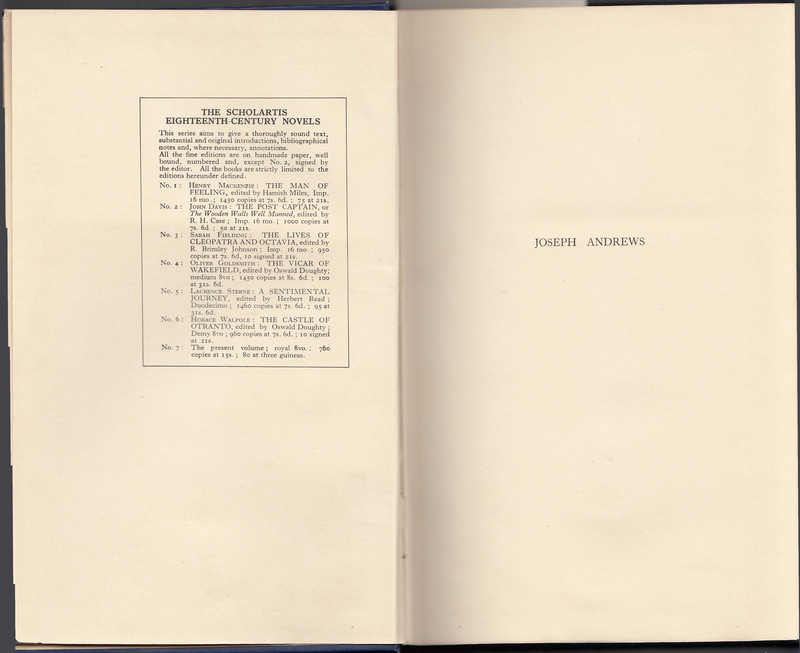 Two titles (above) from the series (Sterne’s A Sentimental Journey as #5 and Fielding’s Joseph Andrews as #7) were published in 1929. The books are both in the Eighteenth-Century Novels series but are very different in form (beyond the rather bland dust jackets). The size difference, in particular, is striking. #1. The Man of Feeling, by Henry Mackenzie; Hamish Miles, ed. #2. The Post-Captain, by John Davis & John Moore; R. Brimley Johnson, ed. #3. The Lives of Cleopatra & Octavia, by Sarah Fielding; R. Brimley Johnson, ed. #4. The Vicar of Wakefield, by Oliver Goldsmith; Oswald Doughty, ed. #5. 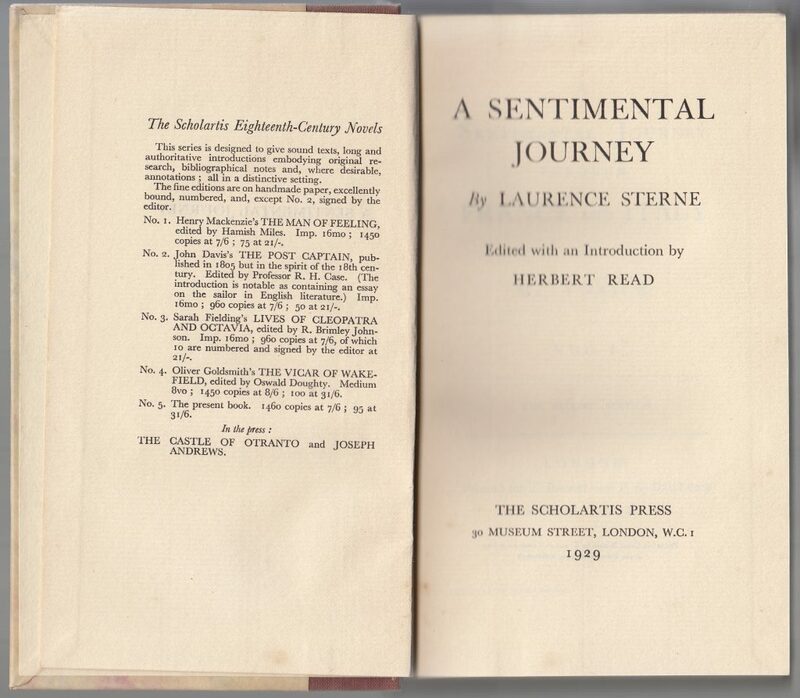 A Sentimental Journey, by Laurence Sterne, Herbert Read, ed. #6. 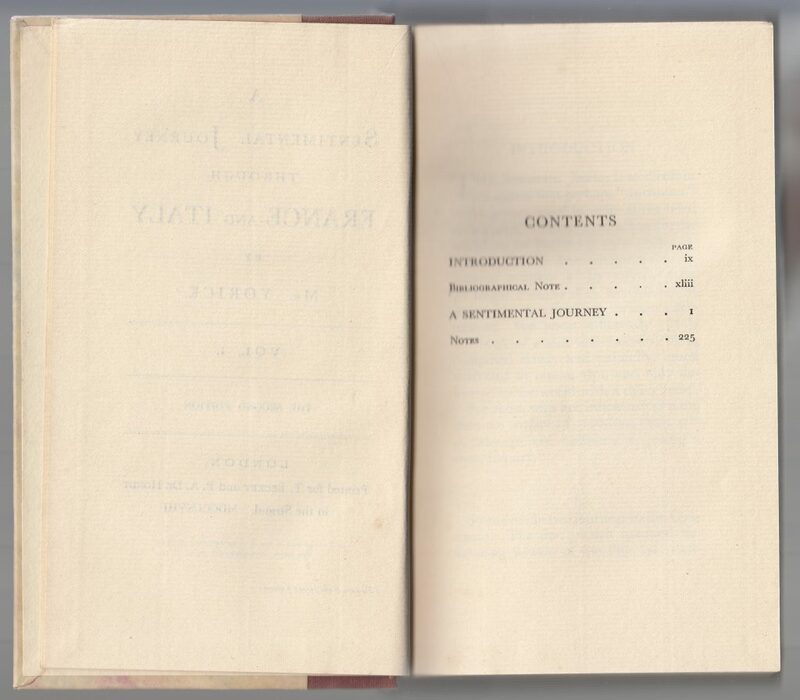 The Castle of Otranto, by Horace Walpole; Oswald Doughty, ed. #7. 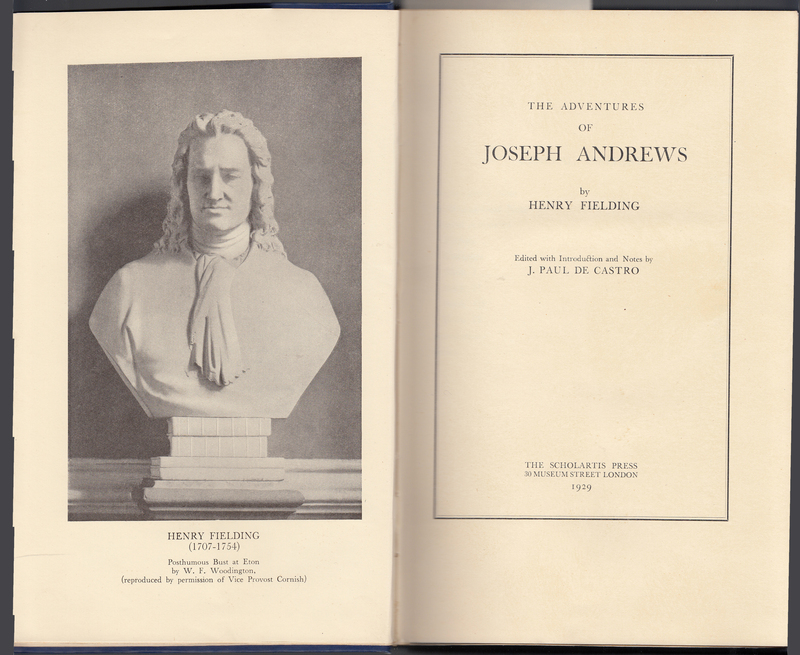 Joseph Andrews, by Henry Fielding; John Paul de Castro, ed. 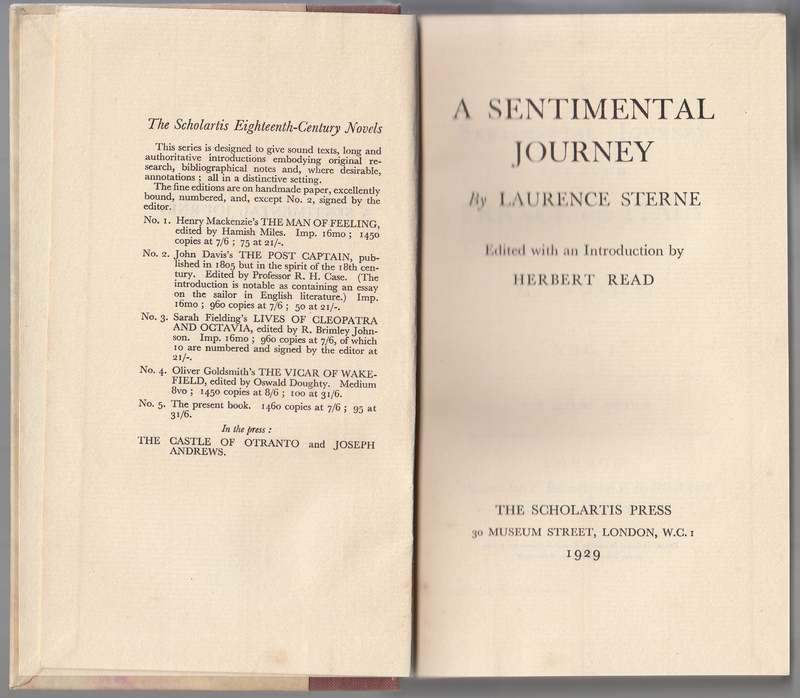 Laurence Sterne’s A Sentimental Journey, with an introduction by Herbert Read, was #5 out of 7 titles published in the series, and one of three published in 1929. The jackets are common to the series and very plain. 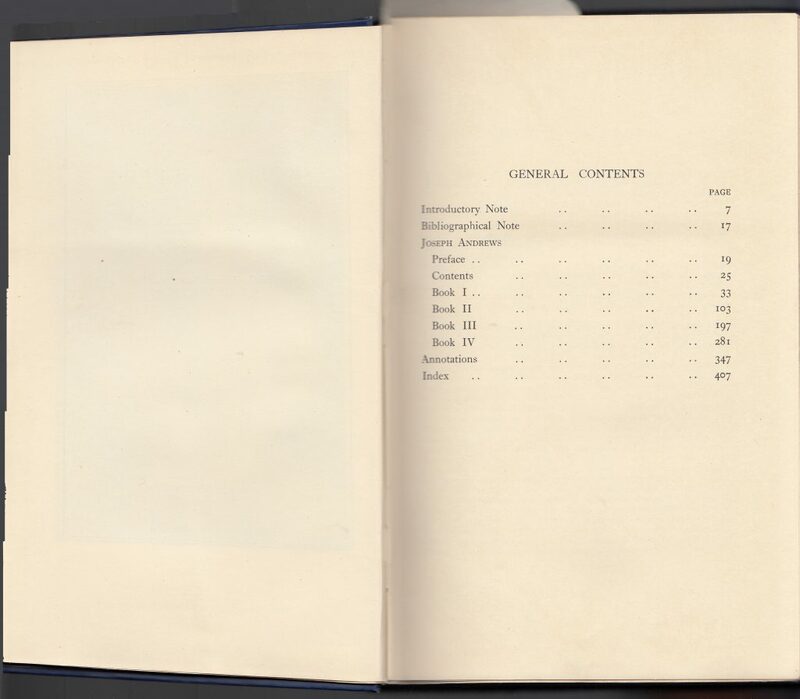 The spine includes the author, title, and editor along with the price (7s/6d) along with the publisher. The author, title, editor, and publisher are printed on the jacket front. The front jacket flap is blank. 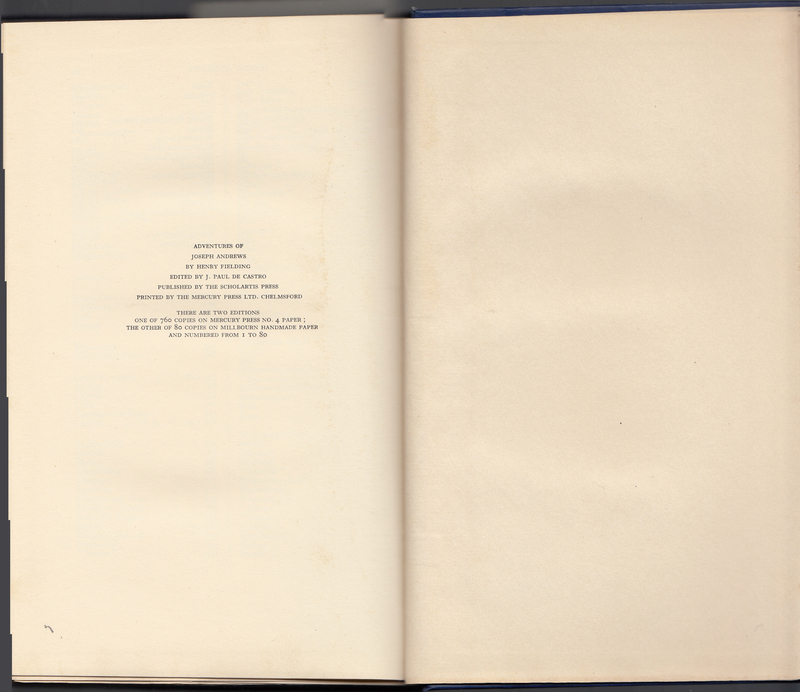 The series name is not indicated anywhere on the dust jacket (front or back). 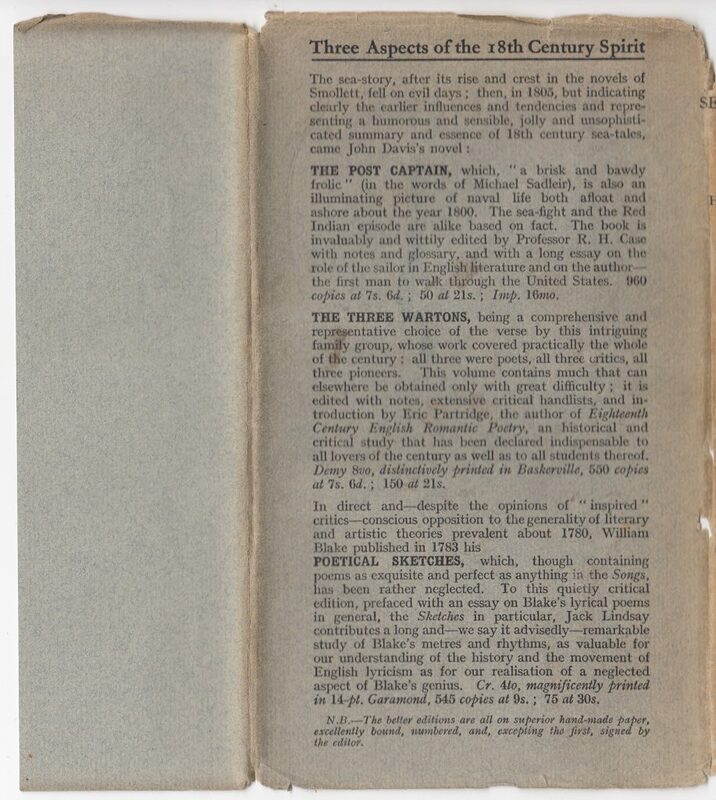 The rear of the jacket has an advertisement for three recent Scholartis Press titles: “Three Aspects of the 18th Century Spirit.” The first (The Post Captain) is in the Eighteenth-Century Novels series, the 2nd and 3rd are not. For each book, details of the limited printing or printings, and price are included. No series names are indicated. Quarter bindings in brick cloth (stamped with gold typography) and marbled paper are of decent quality, but rather 19th century in appearance. 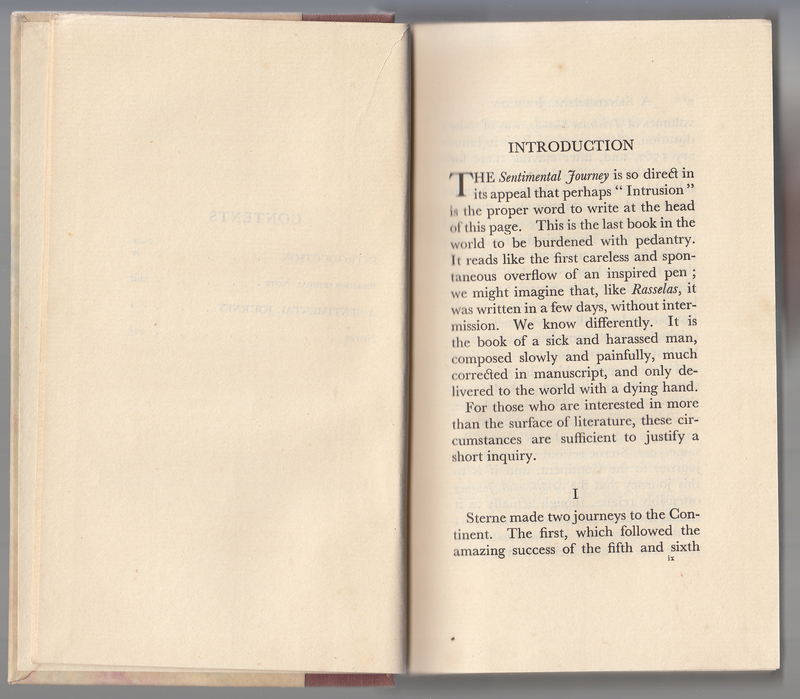 A listing of the series titles (the only place in the book or on the jacket the series is mentioned) faces the title page. 5 titles are listed (including “the present book”) and two in press. These are all the titles (8 in all) published in the series. 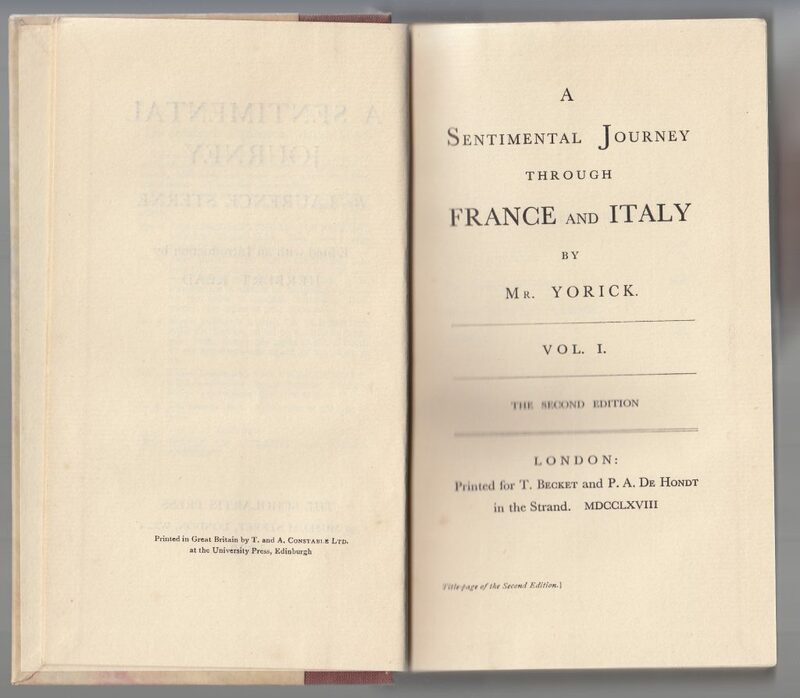 The printer is T. and A. Constable, and the facing page includes a reproduction of the title page of the 2nd edition of A Sentimental Journey. 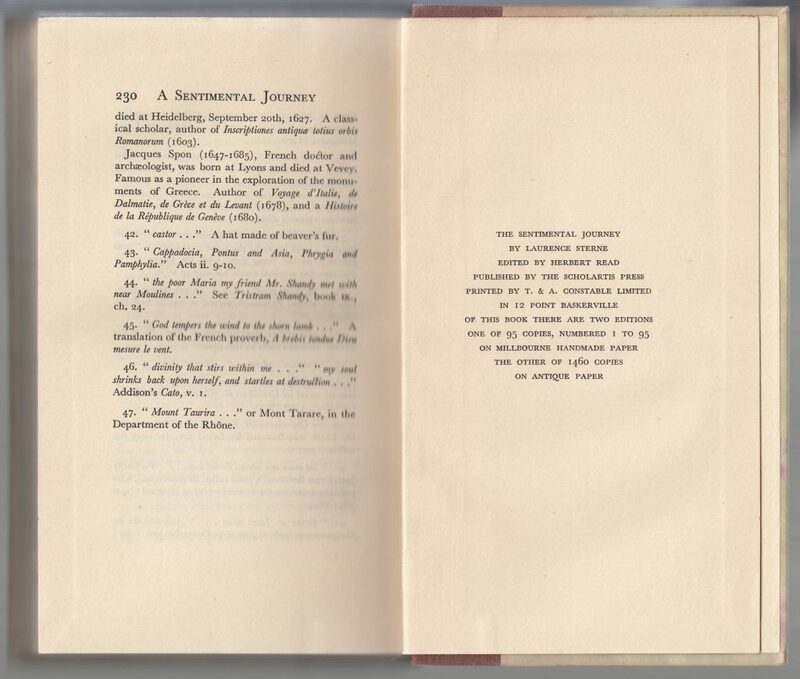 The last page in the book contains a typographically styled block of text including the book title, author, publisher, editor, typeface (12 point Baskerville) and the limited edition indicator. This copy may be one of the 1460 copies printed on “antique paper” which don’t seem to have been numbered. 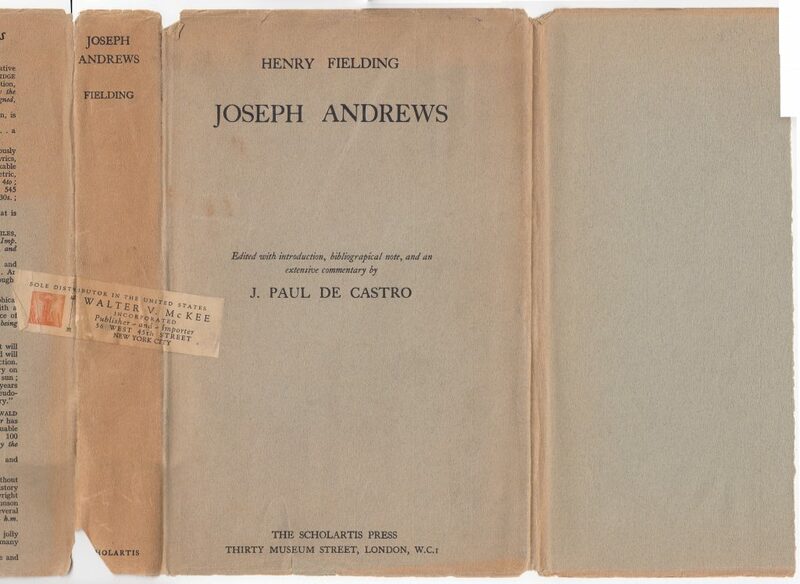 A copy of Fielding’s Joseph Andrews, below, is the last title in the series and significantly different in design from the copy of A Sentimental Journey (above), despite the fact that both were published in 1929. The Fielding title, edited by J. Paul de Castro, is much larger in format and has a different binding style, title page design, and paper. It does not seem that Scholartis Press was overly concerned about common design within the series, suggesting that the series itself was not the primary selling point (the limited edition, scholarly titles were). 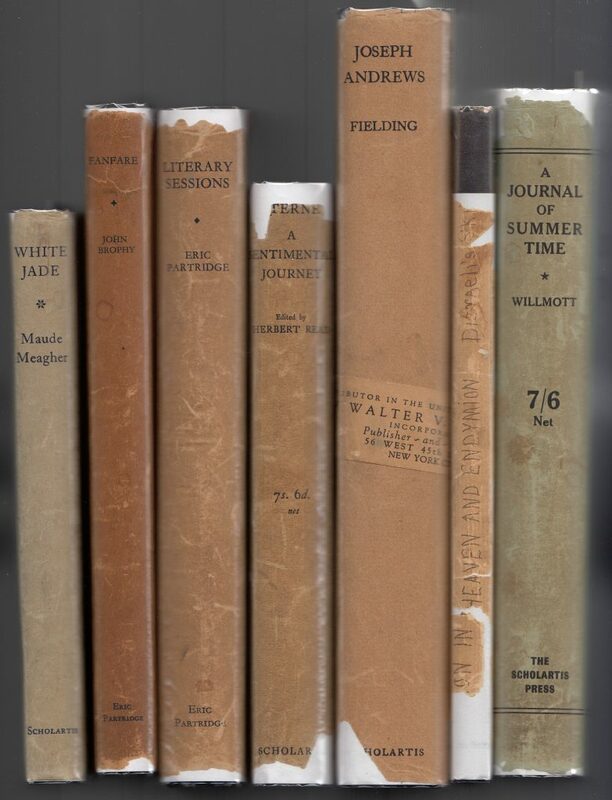 Walter V. McKee had worked in book sales from his teens onward and in 1927-1928 established his own firm to print limited edition titles and distribute other small press books from his New York location. 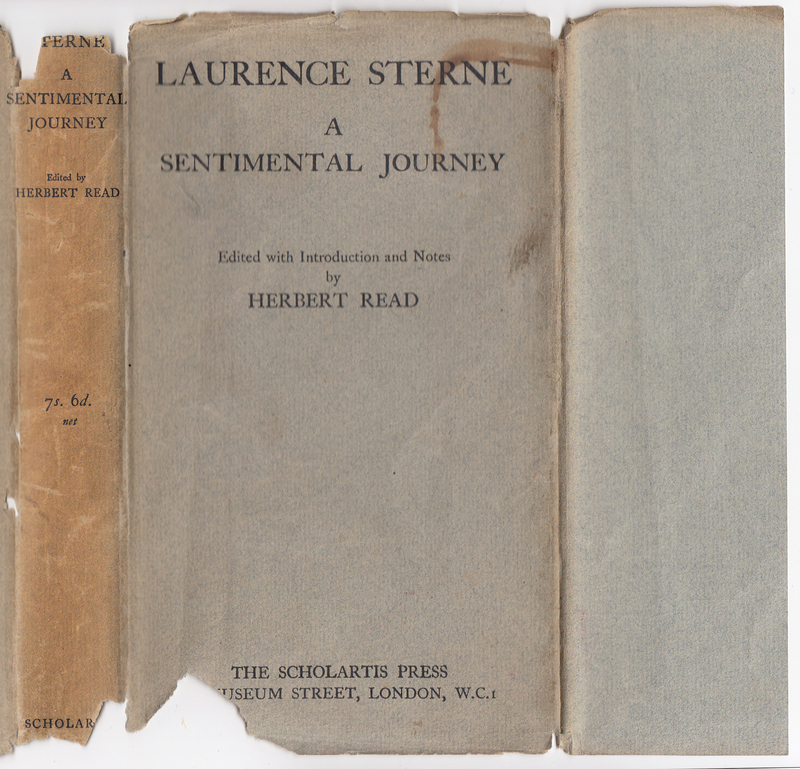 The titles with the McKee imprint include anthologies from the London Mercury and Transition periodicals, a collection of plays, a Jane Austin reprint (Persuasion) and Gertrude Stein story. The firm folded in the early 1930s and McKee returned to book sales for Knopf. 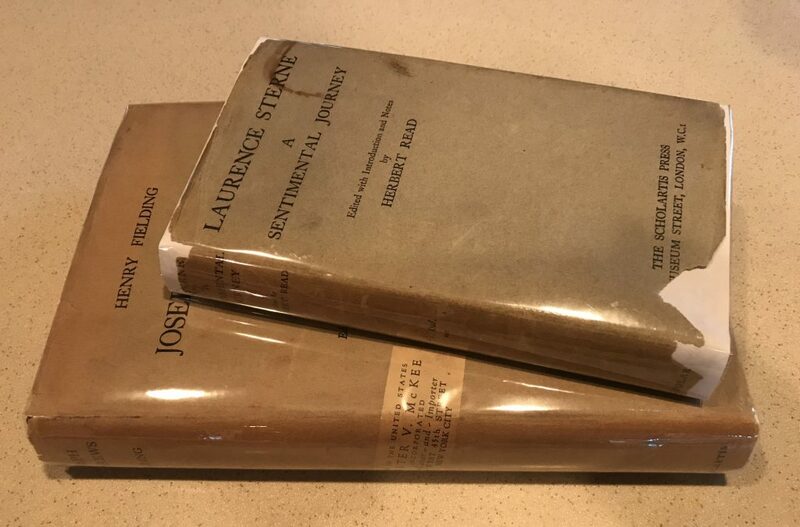 McKee finished his career at the Seabury Press (source). 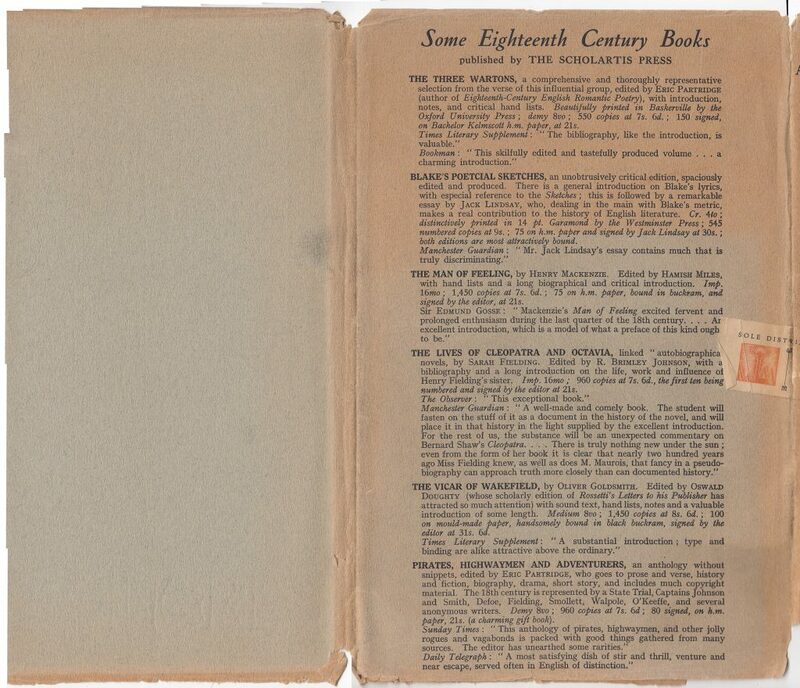 The rear of the jacket as with A Sentimental Journey (above) lists Scholartis Press titles under the heading “Some Eighteenth Century Books.” In this case, 6 (rather than 3) tiles are listed with descriptions, prices, limited edition numbers, and some quotes from reviews. Most of the titles are not in the series. 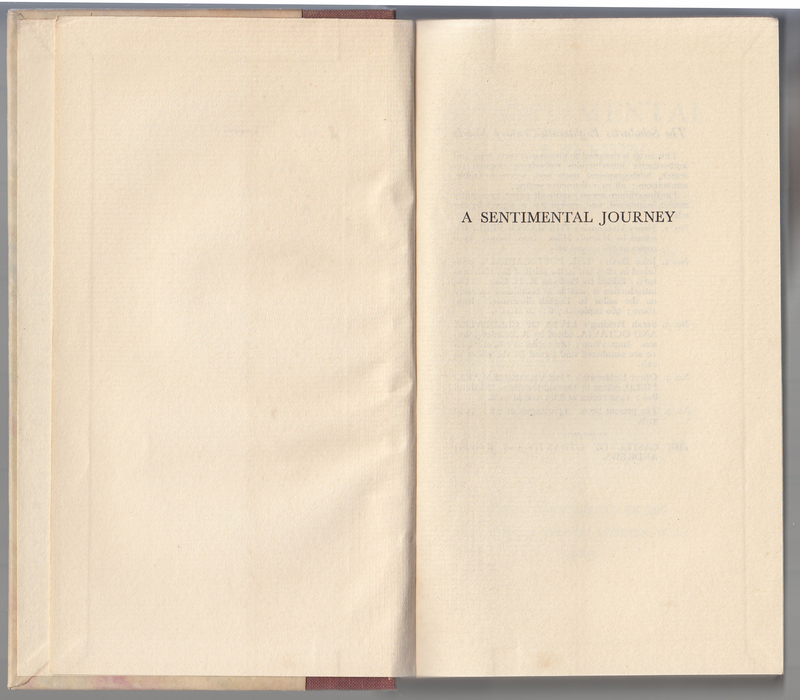 The blue cloth binding is simpler than the quarter binding on A Sentimental Journey but more substantial with gold typography and no other designs. Facing the half-title page is a list of Eighteenth-Century Novels series titles, up through Joseph Andrews, the last title issued. 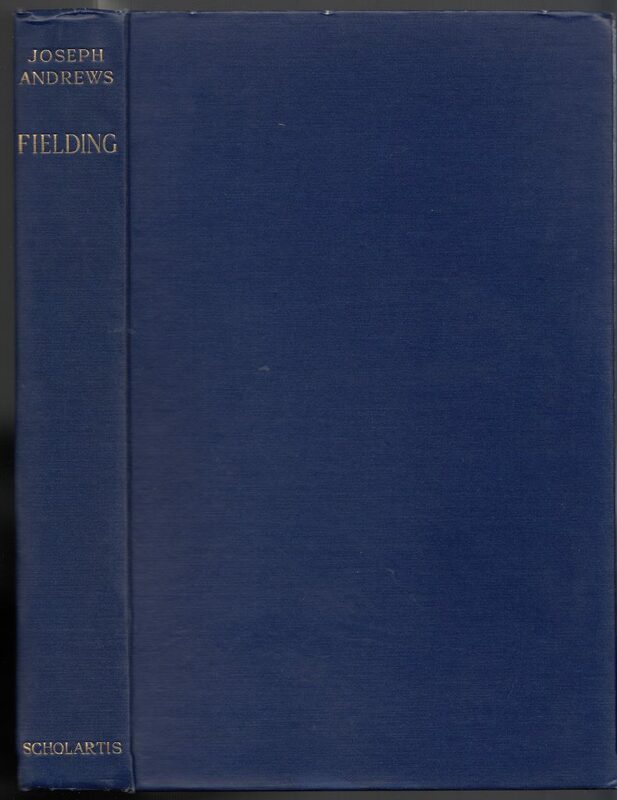 A bust of Fielding faces the title page, which is of a different design than that used for A Sentimental Journey. The date, 1929, is included under the publisher’s imprint. A note on the edition, paper, and printer (Mercury Press) is found near the end of the book.